Welcome to our kitchen issue! Not only is it filled with delicious pin ups but delicious recipes as well! Treat your eyes and your taste buds with this issue. 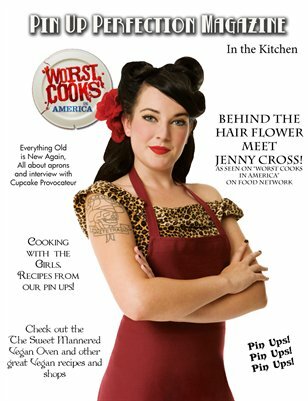 We also have a very special exclusive interview with Jenny Cross from "Worst Cooks in America" on Food Network. Jenny talk about being on the show and a little bit about her fabulous style! We also have vegan recipes, a little bit about aprons and a whole lot of pin ups!